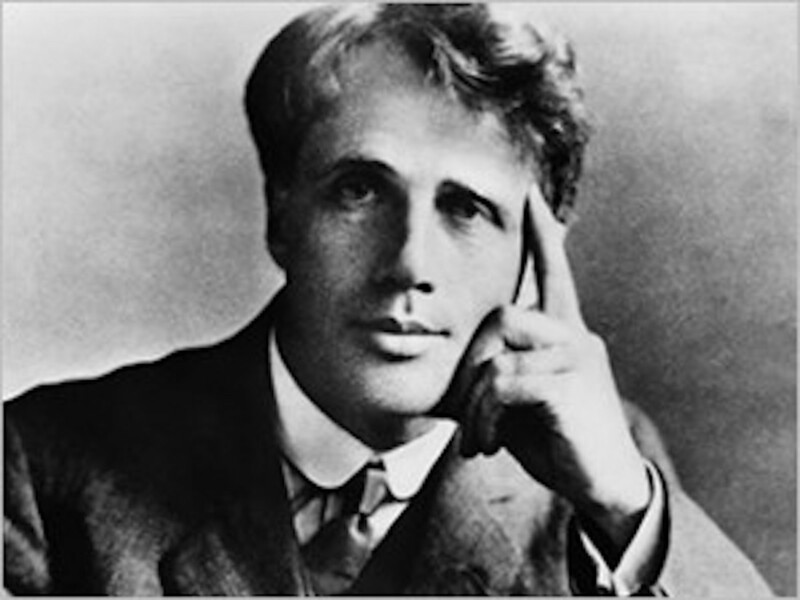 The quintessential American poet of the 20th century is, of course, Robert Frost. What appears to be the simple and honest poetry of an American poet, is, but also is full of profound meaning for life, both figuratively and literally. He saw the lessons of life naturally in nature in his beloved New England. 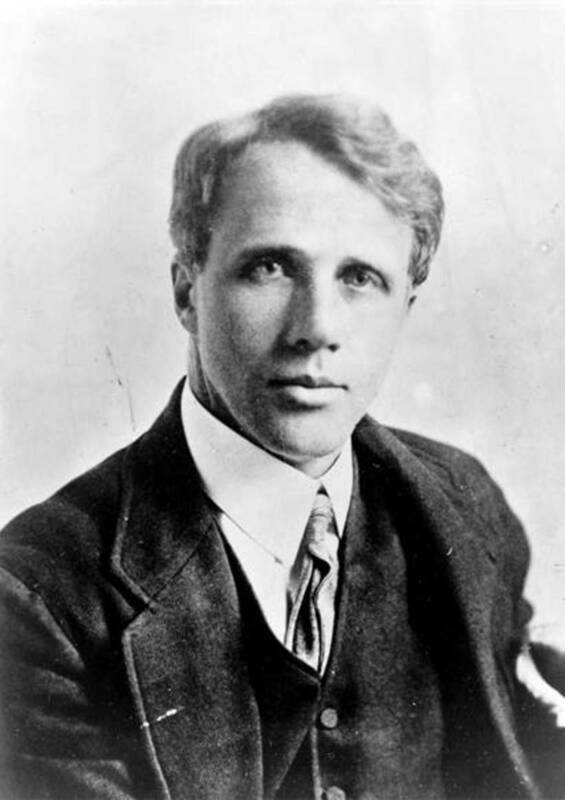 Ironically, he was born in San Francisco, CA, but when his father died, his family moved to Lawrence, MA, and Robert Frost became New England and New England became Robert Frost. Never has a writer been so connected to a region as Robert Frost was to New England. He and his poetry reflected the simple, rustic life and toughness of the typical New Englander. Frost is highly regarded for his realistic depictions of rural life and his command of American colloquial speech. Most of his poetry has settings from rural life in New England in the early 20th century. He used them to examine complex social and philosophical themes in his poetry. 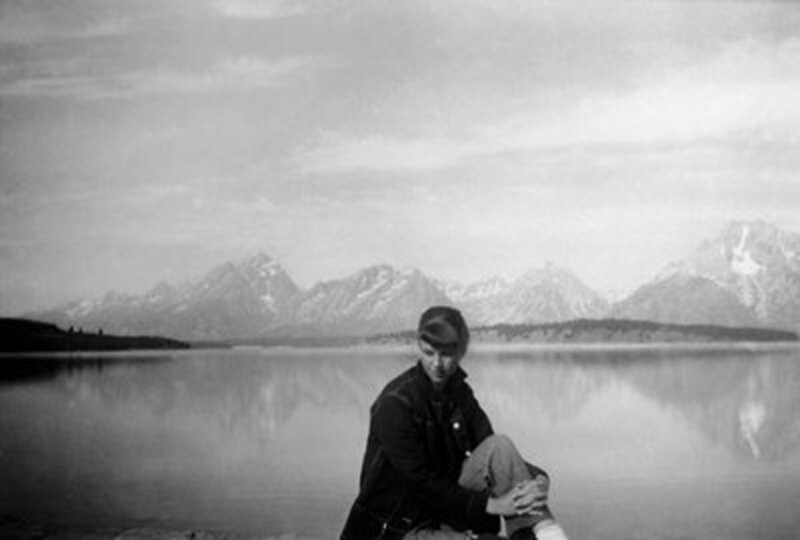 During his lifetime he received four Pulitzer Prizes for Poetry. He attended high school and graduated from Lawrence High School in Lawrence, MA. He published his first poem in his high school's magazine. After high school, he attended Dartmouth College for two months but returned home ot teach and work at various jobs. Frost felt his true calling was writing poetry. In 1895 he married Elinor Miriam White his only wife. He attended Harvard University from 1897-1899 but voluntarily left because of illness. His grandfather bought a farm for the couple in Derry, NH and Frost worked the farm for the next nine years after recovering from his illness. 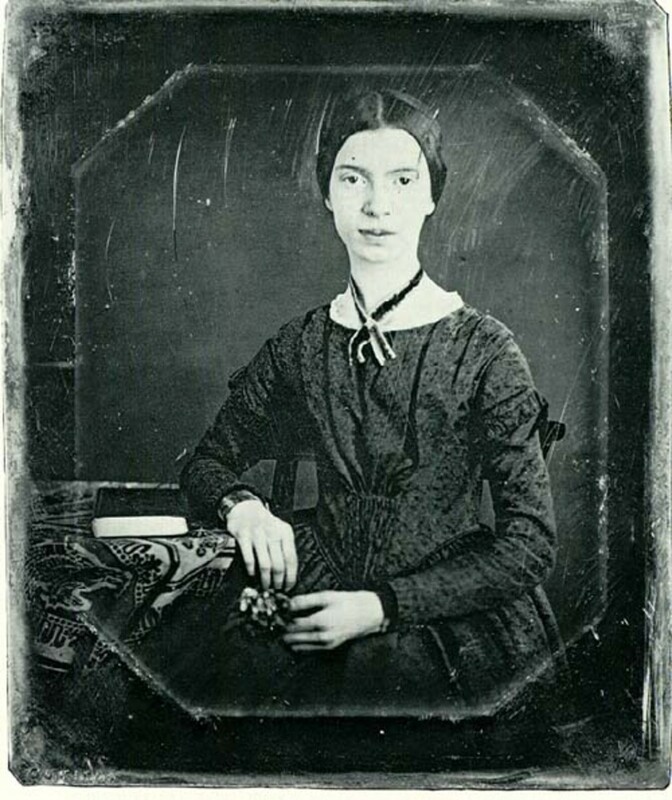 All the while he was working the farm, he would arise early in the morning and write and he produced many of the poems that would later become famous. He was unsuccessful at farming and Frost returned to teaching as an English teacher at New Hampshire Pinkerton Academy from 1906-1911 and at the New Hampshire Normal School (now Plymouth State University). In 1912, Frost took his family and sailed to England and it was here that he made some important acquaintances, Ezra Pound being one of them. Pound was the first American to write favorable review of Frost's poetry, as Frost's first two poetry volumes were published in England. After three years in England, he returned to America. His next phase of life was to buy a farm in Franconia, NH in 1915. Here he launched a career of writing, teaching, and lecturing. This farm served as Frost's summer home until 1938. It is maintained today as The Frost Place and is a museum and poetry conference site in remembrance of Frost and his great contribution to poetry. He also taught English off and on at Amherst College in Massachusetts from 1916-1938. And, from 1921-1963, Frost spent almmost every summer and fall teaching English at Middlebury College at the mountain campus in Ripton, Vermont. At Middlebury, Frost had a major influence upon the development of the school and its various writing program. And, the Ripton farmstead he lived in while teaching there is a national historic site in the U.S.
From 1921-1927, Frost accepted a fellowsip teaching post at the University of Michigan, at Ann Arbor. He was awarded a lifetime appointment at the university as a Fellow in Letters. And, the Robert Frost Ann Arbor home now sits at The Henry Ford Museaum in Dearborn, MI. During all these years and all these residence, Frost continued writing his poetry and contributing to the lexicon of American letters. In 1940, Frost bought a five acre plot in S. Miami, FL, called Pencil Pines, and spent winters here for the rest of his life. Although Frost never graduated from college, he received over forty honorary degrees. Some of these honorary degrees came from Harvard, Princeton, Oxford, and Cambridge. He received two honorary degrees from Dartmouth College. Frost was 86 years old when he performed "The Gift Outright" at the inauguration ceremonies of President John F. Kennedy in January 1961. He died two years later of complications of prostate cancer in Boston, MA. Robert Frost was one of America's iconic poet, teacher, and lecturer. His poetry has been appreciated by the youngest child to the heights of a president at President Kennedy's inauguration. Following are my two personal favoite poems of Frost. Both have a special meaning in my life which I will explain. 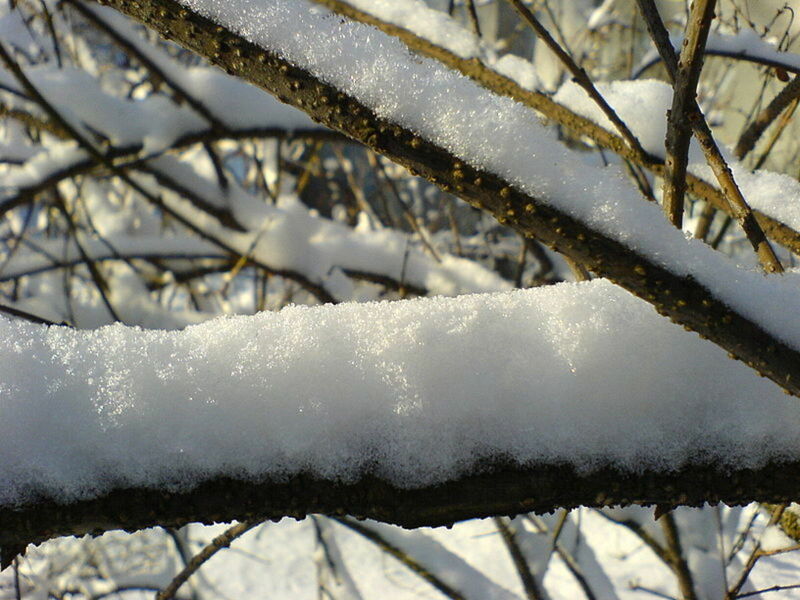 But these two poems, "Stopping By the Woods on a Snowy Evening," and "The Road Not Taken," both represent to me the best of Frost and his beloved New England. This just recently became one of my favorite poems by Robert Frost. During one of the last three years or so of teaching before I retired, I had a wonderful, quirky, interesting, intelligent, insightful and down right goofy eighth grade Language Arts class. And, did I mention talkative? They never stopped talking. They knew it all, too. What could I ever teach them? Well, in my stubborn belief that they were quite intelligent and would respond to poetry with great insight, I decided to do a poetry reading every day by one of the great poets from around the world. This would be the intro to our unit on poetry. I read them poems by Tennyson, Shakespeare, Poe, Rimi, Goethe, Silverstein, the Brownings, Burns, etc. and of course, two weeks into this, no response. Just rolling of eyes and "let's just humor Mrs. Walker," so we can move on. Even my colleagues teased me in the lunchroom about my poetry readings falling on deaf eighth grade ears. One Monday, I decided it was time for some Robert Frost, so I started reading "Stopping by the Woods on a Snowy Evening." Well, the room fell absolutely silent as I read on. My students' eyes were glued on me as I read the poem. Not a sound. When I was finished, the class ringleader, said, "That was a beautiful poem. And, you read it beautifully, Mrs. Walker. Would you please read that one again?" Stunned, I said, "Sure," and read the poem one more time. When I had finished reading it a second time, without any prompting or questions from me, the entire class started discussing the content of the poem and what it meant to them. I watched with tears in my eyes one of the best and most civilized discussions of Frost's poem I have ever witnessed. The discusssion began when one student from the back of the room proclaimed, "I get this poem. I know what the author is trying to say," and from there about a ten minute discussion went forth. Finally, my students looked at me and said, "Mrs. Walker, you haven't said a word." I said, "I didn't have to, you covered all the major points of this poem - you didn't need me, to understand the beauty, images and metaphor in this poem. That is the highest compliment you could give me, is not to need me to guide you in the meaning of the poem. You were all able to discuss it and figure it out on your own. You have learned this year." From that moment on, this particular class loved poetry. They craved poetry readings and I read them a poem each day until the end of the year. They wrote their own poetry and read their own poems as poetry readings for me. We had a great time learning together through poetry. It is a moment in time I will remember for the rest of my life. The words of Robert Frost, one Monday morning, mezmerized my eighth graders and showed them the beauty of words painting images they could see in their minds. The last three lines of this poem are probably the most quoted in the English language and certainly in the American lexicon. Carpe diem -- seize the day! 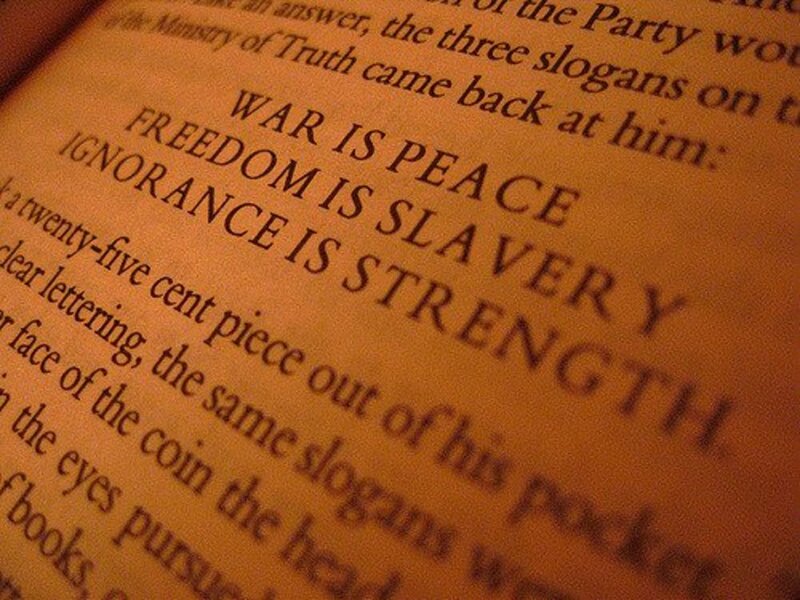 We all interpret these lines and this poem to mean this. But a more careful reading of Frost's exact words are needed to really and truly understand this poem. If you really read the second stanza of the poem, neither of the roads is less traveled by. In fact, each road he comes upon in the fork of the road are traveled the same. Of course, the dilemma here is to be taken literally and figuratively. We encounter many times in life a fork in the road and must decide which one to take. This is Frost's deep-seated metaphor for life and its crises and decisions thrust upon us. 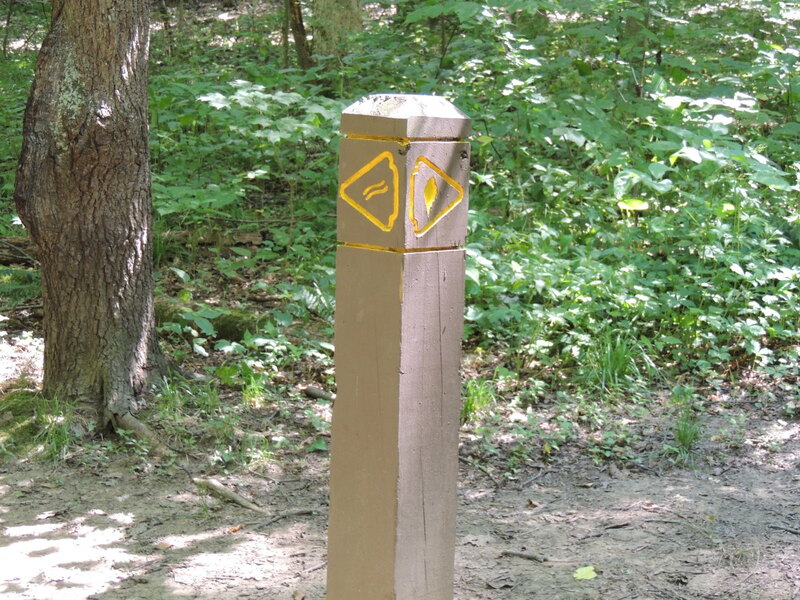 The fork in the road is a symbol for the contradiciton of free will and fate. We are free to choose which road to take, but we don't know exactly what we are choosing between as we can't see beyond where it bends in the undergrowth. Our route in life, therefore, is choice and chance. It is impossible to separate the two. Since there is no less traveled road in this poem, Frost is more concerned with the question of how the concrete present will look from a future vantage point. When Frost said in the last stanza, he sighs - this sigh is critical to the true meaning of this poem. Frost sighs because he knows he will be inaccurate and hypocritical when he holds his life up as an example, as we all would be, too. In fact, he predicts that his future self willl betray this moment of decision later on in life. He sighs before saying he took the road less traveled by and that has made all the difference. He sighs first and then says this because he won't believe it himself in the future. Somewhere in the back of his mind will always remain the image of the fork in the road and the two equally leafy paths. He knows he will second guess himself down the road. Frost is realistic and shows great forsight and insight to how he will view his choice and decision in the future as we all do. We have all second guessed ourselves about paths we have taken. Frost will always wonder what is irrecovcably lost - the unknowable, "Other Path" - just this chosen path and "the other" path. Frost's sigh is not so much for the wrong decision he might have made as for the moment of decision itself. He sighs for the moment that one on top of another make for the passing of a life. This is the true remorse indicated in this poem. This Frost poem has always been so realistic for me. It is the moment of decision that is the crux of the matter. We like to think in the future, after our decision, we have taken the road less traveled - but have we really? None of us lives the perfect life and none of us makes the perfect decisions when we reach those forks in the road. We are hit and miss in this regard. But, what about the road not taken? Would it have been better? I tend to think not. The road not taken would be different, but not necessarily better. I believe Frost's last three lines of this poem have been taken out of context for years and the true meaning of the poem has been forgotten and overlooked. At the time of the decision, each path is equally good, equally trod - it is how we will look at it from a future vantage point that decides whether we have remorse or regret. The forks in the road that are both choice and chance. Robert Frost holds a unique and almost isolated position in American letters. 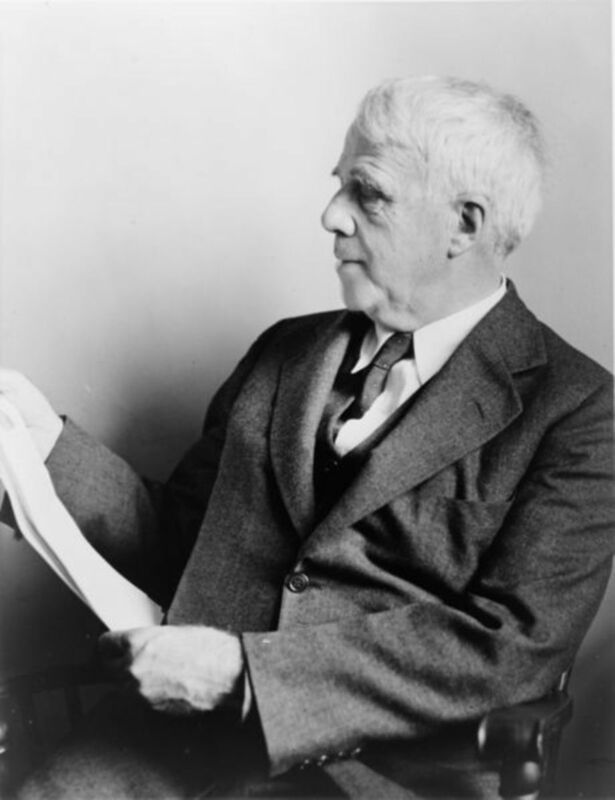 Robert Frost poems and biography. Marie: Thank you so much for reading this. I so enjoyed your hub on Frost. Yes, you are right about Frost, his words, his gentleness, his character all come out in his poetry. As a farmer, at least he tried to make a go of it, but fortunately he was more successful in writing. He milked cows at midnight? LOL! That is a hoot and yes I think writing was his first priority and we are all the better for it. Thanks so much for stopping by. I love your experience with the children who, at first, had little to no interest in poetry. Thank goodness you had a Robert Frost poem to save you! Frost's words are simplistic, yet profound. I can relate directly to the man because he was a farmer, even if he wasn't successful at that endeavor. I read somewhere that he milked his cows at midnight. I guess the cows got use to the schedule, but it says something about his priorities for chores (write first, farm chores later?). Anyway, his poetry does pluck our heartstrings. Mklow: Thanks so much for taking the time to read this. I have always enjoyed Frost's poetry and I enjoyed teaching his poetry too. I enjoyed your comments. Loved reading this. He is one of my favorites. Hi Lisa: Robert Frost is one of my favorite classic poets too. I have always enjoyed his poetry especially when I studied it both in school and college. I love teaching his poetry. It usually resonates with students. Thanks so much for your visit and for your comments. Most appreciated. Frost is a classic favorite of mine. I really enjoyed this hub and I appreciate the research as well as the personal stories that you shared here. I'd never really learned anything about the man behind the poetry before. Stopping by the woods on a snowy evening was the first RF poem we did at school. We were told to memorise a verse of it for homework, but I loved it so much that I learnt it all. I enjoyed reading about the response of your class to it. wilderness: I am so glad you enjoyed this. He is a great poet and says so much simply. He was an interesting man. Thanks for the visit and I appreciate your comments! Much like your class (and what a neat story!) Robert Frost is one of the few poets I truly enjoy reading. He strikes home to me far more than any other. I never learned anything about the man himself, though - thanks for teaching me something there. oilersmyth: Well, Frost writes pretty impressive poetry. I imagine there is a lot more that can be written about him yet. I love to connect with his poetry. Thanks for taking the time to read this and comment. Most appreciated! I've read so many poems about Robert Frost, quite amazing to see more info about him! Vincent: Frost is wonderful, isn't he. He has inspired so many of us to try our hand at poetry, but only a few, such as you, really rival someone like Frost. I also like Poe, but Frost just a little better - I think because I love nature so. Frost's poetry is so quiet and yet speaks volumes to me. Your poetry says so much also which is why I enjoy it, also. Thanks for your visit - it is most appreciated! Sunflower-reads: What a great aunt you have and what a great idea to give you a book of Frost's poetry. That is something you will never forget along with Frost's great poetry. His is a master, I believe, in seeing the profound in nature and the simple examples of nature. He is a treat to read, especially in this chaotic world today. His poetry is so gentle, peaceful and serene, and yet so profound. Thank you so much for your comments and for your visit - most appreciated! Robert Frost indeed is honoured in your beautiful explicit well documented write here. I have always admired his work and with Poe he is one of my favourites. He not only inspires poets but awakens our spirits to compel us to write in his shadows. RIP my poet for you have done us proud. Cogerson: You make a very insightful point. Yes, we can reread his and others poetry at different times in our lives and it can reveal other interpretations and ideas at different points in our lives. I'm so glad you enjoyed this piece. Your time and comments are most appreciated! donnah75: Hey, thank you so much for your comments. That means a lot coming from a fellow educator! Glad you enjoyed this piece. It was fun to write. I appreciate you taking the time to read this! mckbirdbks: Thank you so much. I'm so glad you enjoyed reading this piece. Yes, I'm pretty stubborn. I figured there had to be a poem that would catch my students imagination. I just had to keep reading until I found one. Who knew? It was really a creative breakthrough for my students and some of them went on to be pretty good writers. I'd love to discover one of them on HP. Thanks for your interest and by the way, you are a fine writer yourself there mckbirdbks. Love this recent episode at the cafe! Thanks Robin: I enjoy his poetry so much. I'm so glad you enjoyed this. Thanks so much for your visit and comments. Much appreciated! Robert Frost is one of the first poets (in addition to Edgar Allen Poe) that I was introduced to as a teen. I have a special place in my heart for this brilliant author. I still have a book of his collection of poems that my aunt gave me as a Christmas present. The word "rue" I learned from the poem "Dust of Snow." I continue to treasure his philosophies, imagery, and gift of words. Thanks for writing such a thoughtful piece. Excellent hub on one of the great poets of all time. I think The Road Not Taken means more to me with each year that passes. I studied that poet in middle school, high school and college......and as I am squarely in middle age now it is one that I revisit often. You have provided information that is both informative and interesting...voted up and awesome. This is a brilliant discussion of one of our great American poets. I love bringing Frost's poetry into the classroom as well. Voted up, shared and pinned. You did such a nice job with this. I particularly liked the triumph in your poetry reading. I am glad I did not miss this piece of writing. You honored him well. It was such a pleasure reading your work and revisiting his. Thanks so much! Robin: thank you so much for your comments. I'm glad you enjoy Frost's poetry as much as I do. You are so right, his poetry is timeless. Thanks so much for the visit - it is most appreciated! Awesome, interesting and so well written. I do agree with your reading of my favorite poem, The Road Not Taken. It made the difference to him because the choice he decided upon had a positive outcome-idiosyncratic to him. His poetry is timeless. We are all presented with choices, we can turn left or turn right, say yes or say no and therein lies the outcome. A side bar: teachable moments are priceless and being the facilitator in a student centered lesson that has evolved into something glorious is the best rush a teacher can achieve. BRAVO!!! Alastar: Thank you. I googled this the other night when you mentioned their friendship. I had never heard about it before you stated it and I found those photos"endearing" as you said. Good description of them. Marilyn is so sweet and adorable and pretty in these. Sandburg seemed quite old at the time, but looked like he was being charmed by Marilyn. LOL Thank you so much for telling me about their friendship - I find it such an interesting bit of information. You always know some interesting bit of information on just about every topic I write about. You are really a well-read and well-rounded individual, Alastar with a keen interest in history - even contemporary history - I guess that's an oxymoron, but you know what I mean. Anyway, thanks so much! huckelbury: Thank you so much for reading this and I'm glad you enjoyed it. "Death of the Hired Man" is good, too, but these two I chose are just special to me. Sometimes in education the powers that be go for what is trendy at the moment rather than stick with the tried and true classics. Our education system seems to do that with teaching pedagogy also. Thanks so much for your visit - it is most appreciated. Both poems recreated in this piece should earn Frost a place in the poets' pantheon. Too bad we don't have the equivalent of Poets' Corner in Westminster Abbey. Now I think I'll revisit "Death of the Hired Man" and its poignant definition of home. Still makes me wonder why he fell out of favor in grad school when I was younger. Thanks for the memory of a truly remarkable poet. Thank you, eddy. I appreciated your comments. Yes, this was a labor of love as I love Robert Frost and he is one of our most beloved poets in this country. So glad you enjoyed this and thanks for the visit - nice to see you again! Faith: Robert Frost is such a popular poet and so beloved in this country. I have to chuckle at your comment of reading Stopping in the 6th grade - I was teaching a bunch of inner city school kids in the 8th grade, so my poetry reading experiment was great inroads for these kids understanding poety and getting them inspired to write. What we did in the 6th grade, these kids didn't accomplish until the 8th. Part of the problem with inner city kids and education. I'm so glad you enjoyed this piece and thanks so much for your comments. Greatly appreciated! You have obviously worked so hard on this and have created and amazing hub. I vote up up and away!!! Ok - I didn't know Marilyn and Sandburg were friends. That is interesting - she liked being associated with writers - hence the marriage to Mailer. She wanted to be taken seriously for her acting and not thought of always as the "dumb blonde." Glad you saw "The Road Not Taken". Thanks so much for checking back! It was Sandburg, Suzette. How could I have ever missed The Road Not Taken? Many thanks for the discovery. Hyphen: So glad you enjoyed this. I enjoyed writing it. Frost is one of my favorite poets also - I only seem to do hubs on my favorite ones anyway! LOL I can't answer your question other than to say maybe because of what I write with the poem or about the poem? I don't know. Glimmer: I agree with you "Road. . ." is one of the best and most famous poems ever written and quoted. I'm so glad you enjoyed this. Thank you for your visit and comments. unknownspy: Thanks so much for reading and for your visit - it is most appreciated! Your poetry is of Robert Frost's calibir also - the gentleness and the images and metaphors. I can see why you like Robert Frost, too. "And miles to go before I sleep" - and he repeats it twice, midget, to emphasize the idea of death coming in the future. He has to keep trudging on, even though he'd love to have the beautiful woods the townsman owns, before he can rest at death perhaps in a snowy woodsy heaven. So glad you enjoyed this and thanks so much for the visit - most appreciated. Alastar: Must be Carl Sandburg, it was not Robert Frost. Marilyn married Norman Mailer, the playwright - is that who you are thinking of? Anyway, I love Robert Frost's poetry and had to get around to writing about him too. Thanks for visiting and for your comments. Greatly appreciated! MHatter: So you are a Robert Frost fan, eh? I like him too. The gentleness of his poetry, nature, the flow and rhyme of his poems - so simple and then wham! He hits you with some profound truths. I am glad you enjoyed this piece. Well, I research my "reports" too, but I guess I write better some days than other days. With Robert Frost, you can't go too wrong with his poetry. Your visit is most appreciated! Frost is one of my favorite poets. You have done a great job in this article about him. Thank you for your integrity in writing your articles. ps-I always get a duplicate warning when quoting this much information (the poems). Do you know what I am doing wrong? "The Road Not Taked" - Still one of the most beautiful poems ever written. Really enjoyed the background information. Thanks. Robert Frost - one of my fave poets. I love his work about the road not taken which you showed in your well written and excellent hub. Great tribute to one of the most extraordinary poet of all times. Suzette, Frost was a wonderful poet, and I thank you for sharing this lovely and well-written tribute. I love both of his most famous poems. I interpret your favorite Stopping by the Woods on a Snowy Evening as a person trudging through difficulty - and the other a question of life's purpose. So glad to find a fellow literature lover! Thanks for sharing! Robert Frost was one of America preeminent poets. At JFKs inauguration and his four Pulitzer prizes. Thoroughly enjoyed reading the poems and finding out so much on this American treasure. Was he ever friends with Marilyn Monroe or was it Carl Sandburg Marilyn was friends with. This is more of a well researched tribute than a report. You know I like his work. thank you.